Poor Supergirl, a.k.a. Kara Danvers, a.k.a. Kara Zor-El. Upon discovering her powers, she seems more than willing to help the innocent people of National City: Both trailers feature her safely guiding an out-of-control passenger jet to safety. But Variety reports that Red Tornado is the latest addition to the baker’s dozen of rogues looking to put the kibosh on all that do-goodery. Iddo Goldberg (Salem, Peaky Blinders) has been cast as the sometimes-villainous Red Tornado. He joins the show along with Jenna Dewan-Tatum (Witches Of East End), who will play Lucy Lane, sister of a certain intrepid Metropolis journalist, and daughter of the yet-to-be-cast General Lane. Consistent with silver age bylaws governing bad pun names, the Red Tornado is actually the alter-ego of Dr. T.O. Morrow, a military scientist. This is a deviation from the comics storyline, where Red Tornado is Morrow’s robotic creation, much like Marvel’s Vision is created by Ultron. And like Vision, Red Tornado undergoes a morality shift, eventually becoming a good guy. 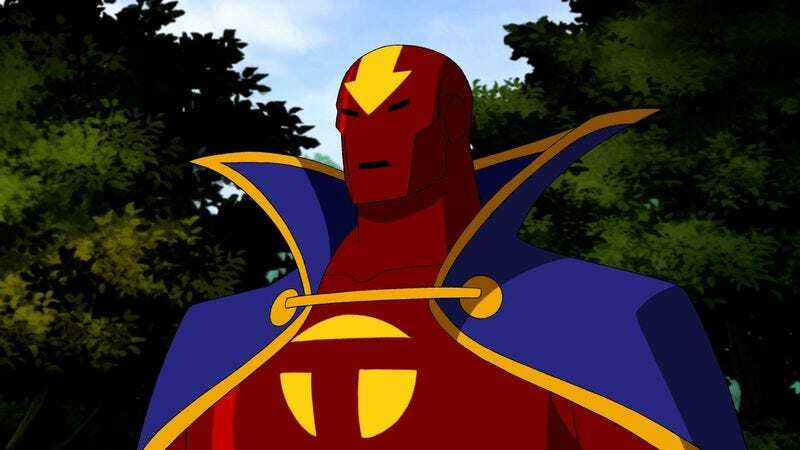 Red Tornado also closely resembles Vision, with red skin, high-collared capes, and fabulously enormous metal belts.